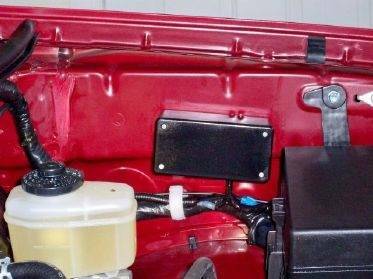 Quick Links: New headlights Anybody Done These yet Trailer hitch Porter-Cable Air Compressor Bed Outlet Saddleman Ultra Guard Seat Covers? Stupid question - running boards. Discussion in '2nd Gen. Tacomas (2005-2015)' started by gsm, Nov 15, 2007. Yes, yet another thread about fog lights. The others were so helpful to me I thought I’d contribute and post my modifications to the combined posts I’ve read and possibly give ideas or help someone else out in return. This install is for Taco’s delivered without fog lights installed, but for those that wish to have factory looking fog lights. 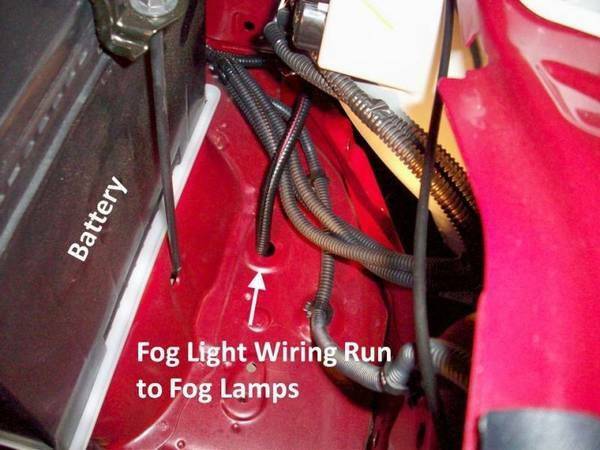 This setup allows the Fogs to be turned on with the ignition set to ACC. or with the engine running. No other lights need to be on for them to work (so they can be turned on or off as desired and even used as Daylight Running Lights too if desired). And if forgotten on, will be off when the ignition is turned off, and back on when the ignition is set to ACC. or the engine is restarted again. I cannot and will not take credit for it all. I obtained most of my initial information for my particular install from the yourtacoma.com website listed below. This site appeared to be under maintenance, or malfunctioning, so I will attempt to add post extracts from that site. If you are unable to locate the thread at the link, please search this thread below for the extract postings. (This might take some time so check back from time to time, or PM me and I will email the PDF file to you). What I will be covering next is the differences in my install. This will be covered in a couple of posts due to attachment sizes. 2010Tacomanewb, 14GBs and K.Joseph like this. First, I wired the the Illuminination and power in connection of the switch to a "Add-a-circuit" that I plugged into the fuse box located under the dash on the drivers side. The "Add-a-circuit" is plugged into the 7.5 amp fuse slot for the Radio. 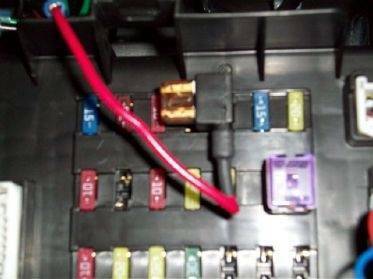 I inserted a 7.5amp fuse in the "Add-a-circuit" for the radio and a 5 amp fuse to cover the power to the switch and for it's illumination. This way the switch is powered whenever the ignition is set to ACC. or the engine is running. 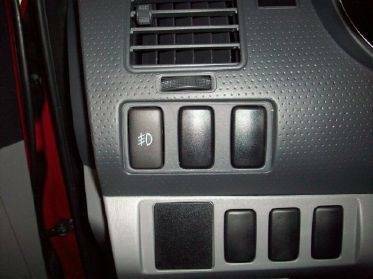 In short, if your radio will play, your Fogs will be available to come on. 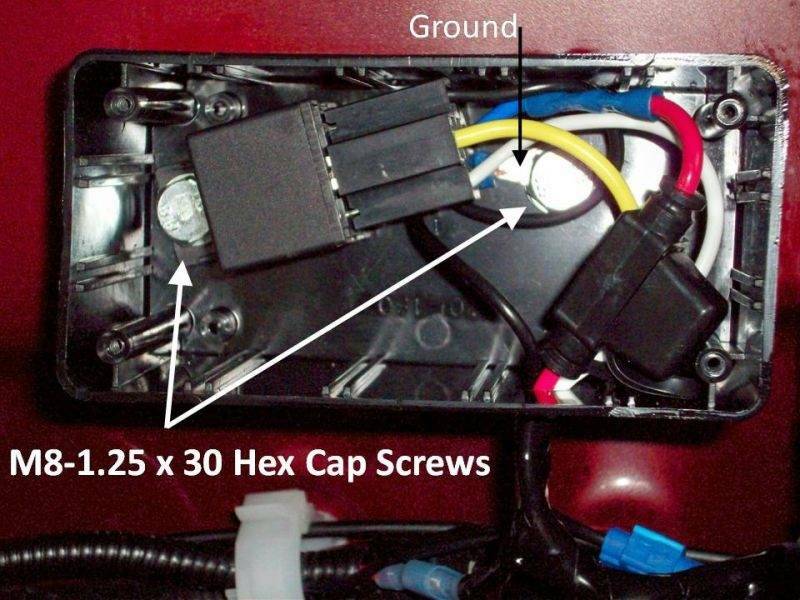 The Fog Light switch power-out and ground both run out through the rubber seal as per the install instructions in the above link. To keep the wiring neat and hopefully somewhat factory looking I purchased a Project Box from Radio Shack to house the Relay, In-Line fuse from the battery, and a common ground for the whole wiring setup. For power from the battery I attached a power lead to the positive terminal as per the link at top and ran the wire along the one feeding power into the factory fuse box and covered both with the flex tubing, then continued running the lead under the fuse box to my Fog Relay box where it is connected to my in line fuse. (Sorry I don't have a picture of this). And here it is with it all sealed up. I still have some touch up to do to cover the blue connectors I used. 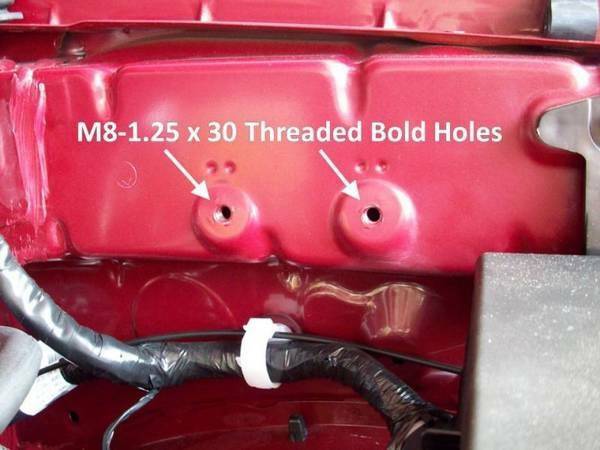 To cover the exposed wires I used 1/4 flex tubing similiar to that used throughout the engine compartment. The only place I was able to find 1/4 inch locally was at Pep Boys. a 10' roll runs about $9. Above you can see the connection through to the cab. And a view of the factory Fog light switch installed. It lights up whenever the key is switched to ACC. or the engine is running so that in darkness it's easy to locate. The style of push in button makes it easy to tell if the lights are on or off - but if left on accidentally, they will go off when the key is turned off saving your battery. Below the new front look of my Taco with fogs. With a standard cab version I believe the only way to get fogs is to put them on yourself. Hope this helps someone. FYI - I am extremely impressed with the cleanlyness of this install. I will be following it for my install when I have the time and money. I have made this thread a sticky for the nice detail. Cheers! For some reason the link at the top of the thread quit working properly, I believe it's fixed now. No you can get fog lights on a regular cab if you get a pre runner 2wd. I drove a black one before I got mine. It was nice...but it was $500 less than my 4x4!! It had color matched bumper and fender covers and a chrome grille and rear bumper and fog lights and power locks/windows. I would be interested in how you mounted the lights in the bumper with the non OEM light too. The kits I have seen mount differently than the Toyota light from what I have found here on the site. just put the first 100 miles on her and the mod bug is already biting! 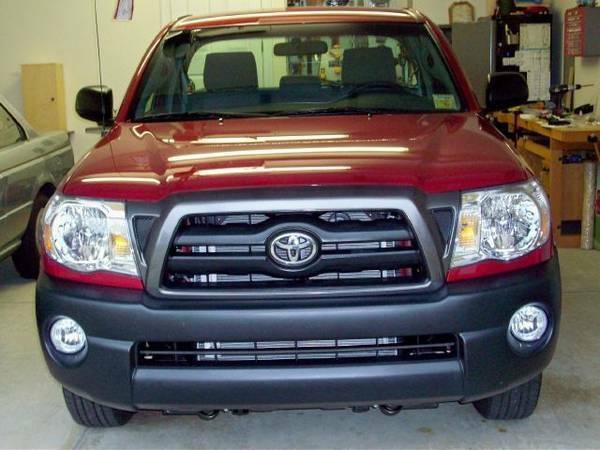 I ordered the OEM fog lights from Toyotapart.com if you are asking about my install listed here. As they are the same as the ones that come factory. Yeah I am looking for how to mount lights like the bling or Piaas. If you go non-OEM you pretty much have to engineer (ghetto rig? ) your own way of mounting. The housing itself is plastic so you do some drilling if you want to. I used the pre-existing holes to mount mine. Someday I might buy some OEM ones just to throw in there. GSM, how much did you pay for yours? nice job, those look really good! i want some fog lights too! Found these on ebay. Doesn't seem like a bad deal at all compared to the $350 on toyotaparts.com. Wish i could have found these before I bought the Bling Lights kind. What size did you go with? 4" or 5"? yeah, I figured yours were a direct bolt-in, but the wiring is what I was impressed with. 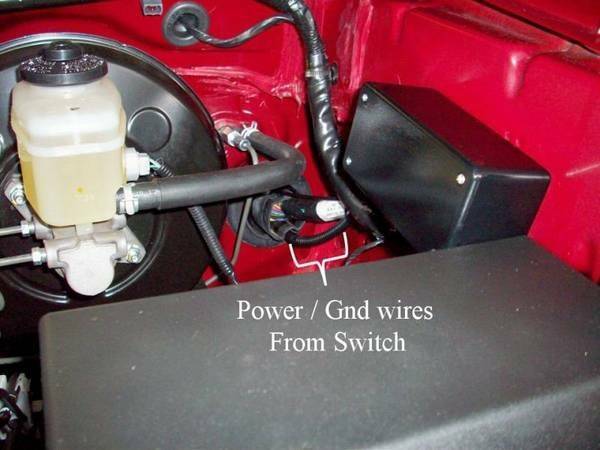 kit comes complete with OEM fog lights, switch and connectors with wire leads for the lamps and switch. A generic relay with connector, inline fuses (2) are also included. I didn't use the low quality inline fuses that came with the kit. I purchased separately (2) 10' spools of 14 ga. wire (red/black), 30 amp inline fues, an add-a-circuit, & misc. connectors from Advance Autoparts for about $18. A black project box from Radio Shack for under $4 to house the 30amp inline fuse, relay and support for the common ground. Finally, (2) Stainless Steel 8-1.25 x 30 bolts with washers to mount the project box and supply a grounding point from Lowe's hardware $2. Ouch!! Price for light kit today is $416. Glad I did mine two years ago. I believe mine on the 4" ones. The housing is about that size. I know that the fogs from bling lights just seem a tad bit too small. Which is why I'm looking at just finding some lamps that I can just plug into the factory plastic clips. I found these on ebay as well. They look used but the guy says that they are in perfect working condition. The only concern that I have is that the OEM light bulb plug is different than that of my wiring harness. I might have to order the connector from some where or just make my own. Let me know if anyone else has ideas. Thanks. I bought my EBAY fog light relay for $9 and installed in under 30 seconds. Though it does not turn off automatically.